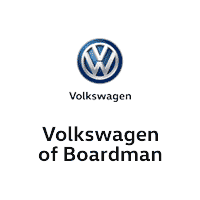 Volkswagen of Boardman is pleased to offer many quality extended service contracts on all types of vehicles. New, pre-owned, and even already owned vehicles all qualify! Rather than wait until that service bill gets a little to steep for unexpected repairs, check the price of an extended service contract with the Volkswagen of Boardman finance department. Just ask one of our Internet Sales Managers or a service writer to get you in touch with the right individual. What are our extended service contracts all about? Let us explain! Your vehicle is a big investment…an investment that certainly needs to be cared for. Statistics have proven time and time again that most major repairs will occur after the original manufacturer warranty has expired. Unexpected problems with your vehicle are always inconvenient. They use up your valuable time and energy. Also, they tend to be very expensive. This is especially the case now with vehicles becoming more technologically advanced with every new model year. With a network of over 5,000 authorized service centers and repair stations, we make it easy to keep your repairs as stress free as possible. We can even include the cost of protection in the financing of your vehicle. 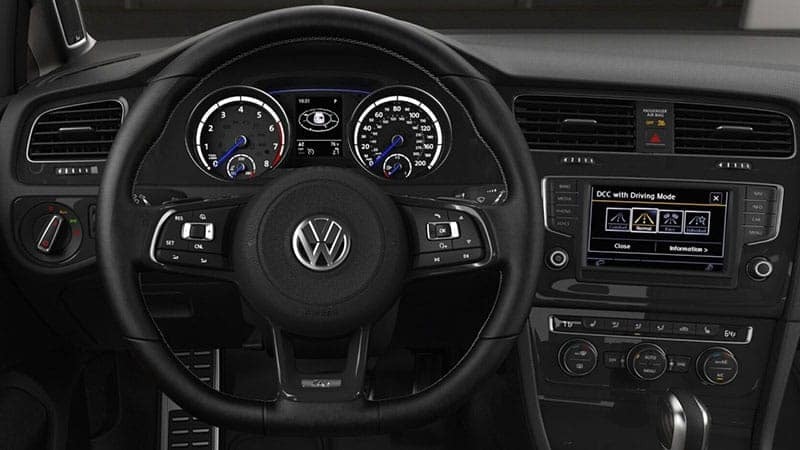 As a valued Preston VW of Boardman customer we wish to provide you with an ownership experience that is as comfortable and hassle free as your purchase experience. In order to do that, we offer four levels of coverage to ensure that you will be back on the road in no time. With nationwide, 50 state coverage and over 10,000 serving dealers, finding somewhere to make a claim will not be difficult! Engine block and cylinder heads and all internally lubricated parts including pistons, piston rings, pins and cylinder sleeves; crankshaft, pulley, main bearings, caps and bolts; connecting rods, rod bearings, caps and bolts; camshaft(s), camshaft bearings, buttons and plugs; timing gears and timing chain or belt; rocker arms, rocker arm pivots, shafts and bushings; intake and exhaust valves, springs, guides, adjusters, retainers and seats; pushrods and lifters; intake manifold; exhaust manifolds; balance shaft; water pump; fuel pump; thermostat; oil pump, cover, gears, pressure relief valve and screen; rotor housing, rotors, shims and silent shaft; all internal fasteners, nuts and bolts; turbocharger/supercharger assembly including boost valve and wastegate; seals and gaskets.Transmission/transaxle case and all internally lubricated parts including ring and pinion gears; oil pump, cover, gears, housing and vanes; torque converter; valve body(s); throttle valve; valve pack; governor, gear and cover; parking gear and pawl; roll pins; sprags; sprockets; chain; springs; stator and shaft; pressure regulator valve; pressure switches; solenoids; bands; automatic transmission/transaxle clutch, drums, pistons and steel plates; planetary and sun gears; servos and rings; blockers; synchronizer hubs and keys; bearings; bushings; supports and shafts; control rings; yoke; extension housing; speedometer drive gears; accumulators and rings; adjusters; all internal fasteners, nuts and bolts; shift cover and forks; separate bell housing; transfer case and all internal parts contained within the transfer case; seals and gaskets. (STANDARD TRANSMISSION CLUTCH ASSEMBLIES AND ALL COMPONENT PARTS ARE NOT COVERED. )Differential/axle housing(s) and all internally lubricated parts including the axle flange; ring and pinion gear/carrier assembly; spider gears and bearings; pins; retainers; positraction clutches, plates and springs; cover; seals and gaskets. Silver offers all of the same features of Powertrain, with the following additional benefits:Steering gear housing and internal parts including control rings, valves, pinion shaft, pitman shaft, worm shaft and gear, sector shaft, bearings, adjusters; rack and pinion housing and internal parts including control valve, rack bellows, mounts, rack shaft and yoke, spool valve, bearings; power steering pump and internal parts including housing, reservoir, shaft and vanes; power steering pump mounting brackets; seals and gaskets.Master cylinder; vacuum or hydraulic brake booster assembly; hydraulic lines, hoses and fittings; brake pedal apply pin; seals and gaskets. (ABS COMPONENTS NOT COVEREDCondensor; compressor; evaporator; orifice/expansion; seals and gaskets.Upper and lower control arms, shafts and bushings; struts, housing and cartridge; spindle/steering knuckle and spindle support.Alternator housing and all internal parts including bearings, bushings, brushes, rectifier bridge, diodes, field coil and rotor; alternator mounting bracket; voltage regulator; starter motor housing and all internal parts including bushings, brushes, field windings, starter drive and solenoid. Gold offers all of the same features of Powertrain and Silver, with the following additional benefits:Oil pan; valve, timing and side covers; thermostat housing; water pump pulley; engine mounts; harmonic balancer; flex plate/flywheel and ring gear.Oil pan; detent cable; kickdown link; TVI/throttle cable; vacuum modulator; transmission mountsConstant velocity joints; slip joint; front wheel drive axles/half-shafts and wheel bearings; u-joints; couplings; flex disc; prop shafts; center support bearings.Tie rods, idler and pitman arms, center/drag link, coupling and shafts; cooler lines.Compensator/proportioning valve; metering valve; calipers, piston, seal and dust boot; wheel cylinders, cups, seals, spring and dust boots; backing plate; brake adjusters; brake pedal, pedal lever and pedal pivot; parking brake cable; ABS component parts including control processor/module, pump, dump valve, wheel speed sensors, solenoids, accumulator, and pressure differential switch.Accumulator; receiver drier; automatic temperature control programmer; clutch assembly including coil, disc and pulley; control cables; cutoff switch; serpentine belt tensioner, bearing and pulley.Wheel bearings; ball joints and bushings; kingpin and bushings; stabilizer bar, links and bushings; torsion bar, mounts and bushings; track bar, links and bushings.Front and rear wiper motor, transmission and linkage; power window motor; window regulators; power seat motor; steering column multi-function switch and individual switches for turn signal, headlamp, dimmer, wiper, washer and speed control; mirror motor switch; brake light switch; neutral safety switch; glove box light switch; courtesy light switch; cooling fan relay; air control solenoid; air regulator valve; I.A.C. motor; electronic ignition module; electronic instrument panel module; ignition coil; engine distributor including shaft, gear, bushings and modules; throttle position sensor; vehicle speed sensor; M.A.P. sensor; knock sensor and barometric pressure sensor. Gold Plus offers all of the same features of Powertrain, Silver, and Gold, with the following additional benefits:Radiator, mounting brackets and coolant recovery tank; fan clutch, fan blades and motor; fan shroud; heater core; transmission cooler.Fuel lines; fuel pressure regulator; level sending unit; fuel injectors and seals; injection pump; ESC systems; fuel injection control components including mixture control processor, throttle body assembly, cutoff valve, fuel rail, fuel distributor, trigger contacts, cold start valve, fuel injection valve, fuel accumulator; tank; tank door latch; tank filler neck and o-ring.Compressor mounting brackets; idler pulley and bearings; air conditioning/heater blower motor.Steering wheel tilt and telescoping mechanism.Coil and leaf springs, seats and bushings, leaf spring shackles; electronic level control components including pump, accumulator, lines and bags.Upper and lower control arms, shafts and bushings; upper and lower ball joints; struts, housing and cartridge; wheel bearings; spindle/steering knuckle and spindle support; coil and leaf springs, seats and bushings, leaf spring shackles; track bars, links and bushings; electronic level control components including pump, accumulator, lines, bags; stabilizer bar, links and bushings.Cruise control module, servo, cables and switches; instrument cluster including speedometer, odometer, tachometer and all gauges, warning indicators; burglar alarm or electronic entry systems including remote entry receiver, sender and module; door lock actuators; mirror motor; power window switch; power lock switch; rear window defogger; horn and relay; convertible top motor; sunroof motor; power antenna motor; electrical headlamp motor; power trunk/hatch release motor, switch and solenoid; power sliding door motor and switch; electronic control modules including body control module, electronic control unit, powertrain control module, transmission control module; electronic throttle control module; crank angle sensor; camshaft position sensor; throttle position motor; fuel pulse dampener; wide open throttle switch; thermo time switch; fuel pump relay; automatic temperature control sensor; ride height sensor and relay; oxygen (02) sensor; mass air flow sensor; manifold differential pressure sensor; coolant temperature sensor; OEM radio/graphic equalizer/cassette tape player/compact disc player. In addition to offering the same features of Powertrain, Silver, Gold, and Gold Plus, Platinum expands to cover almost all assemblies of your vehicle, giving you the “Ultimate Peace of Mind” protection.Platinum Exclusions UNDER PLATINUM COVERAGE, ANY OF THE FOLLOWING PARTS:Brake linings, brake drums and rotors, disc brake pads, standard transmission clutch components, air bags, solar powered devices, hinges, glass, lenses, sealed beams, body parts and/or panels, trim, moldings, door handles, lock cylinders, tires, wheels, batteries, light bulbs, upholstery, paint, bright metal, freeze plugs, heater and radiator hoses, exhaust system, shock absorbers, audio, security or other systems not factory installed, work such as front-end alignment or wheel balancing, constant velocity joint boots, safety restraint systems, cellular phones, electronic transmitting devices (except for those specifically listed under silver, gold, or gold plus coverage), radar detectors, appliances, near object avoidance systems and all laser radar cruise control components, vinyl and convertible tops.